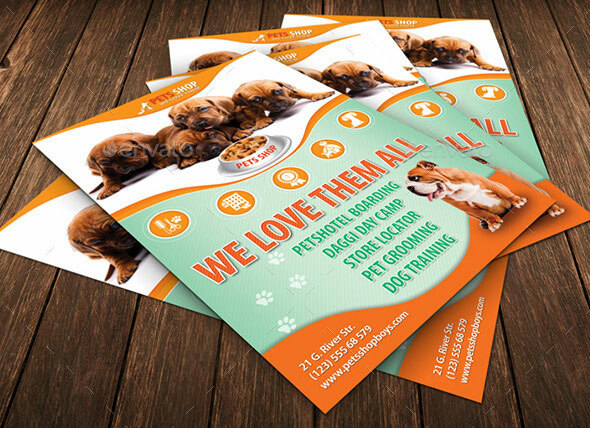 Whether you have just started your pet business or have been in the pet industry for years, advertising your pet services is likely a top priority. Promoting your services without breaking the bank is also a top concern. 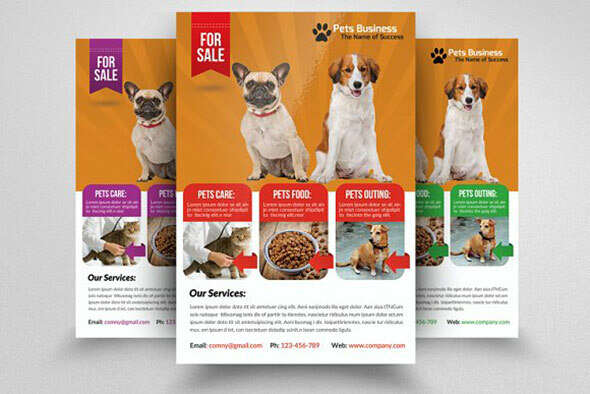 Flyers are one of the most widely used and most cost effective marketing materials available. 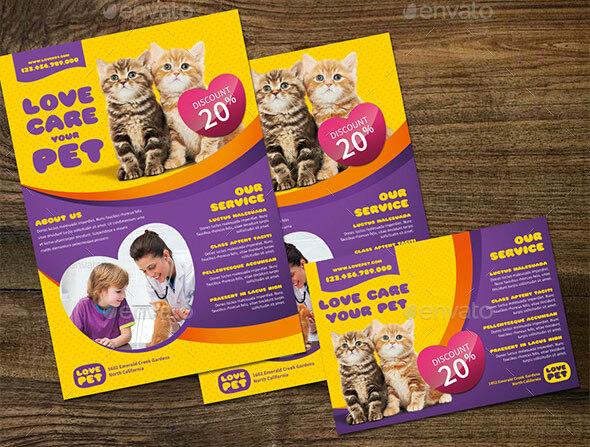 So here are 20 Amazing Pet Service Flyer Templates in PSD file format that will help you to promote your business. 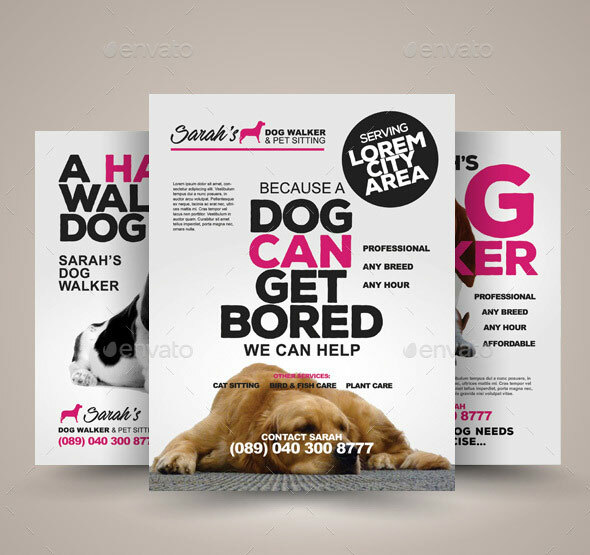 A flyer template set perfect for promoting a dog walking or pet sitting services. 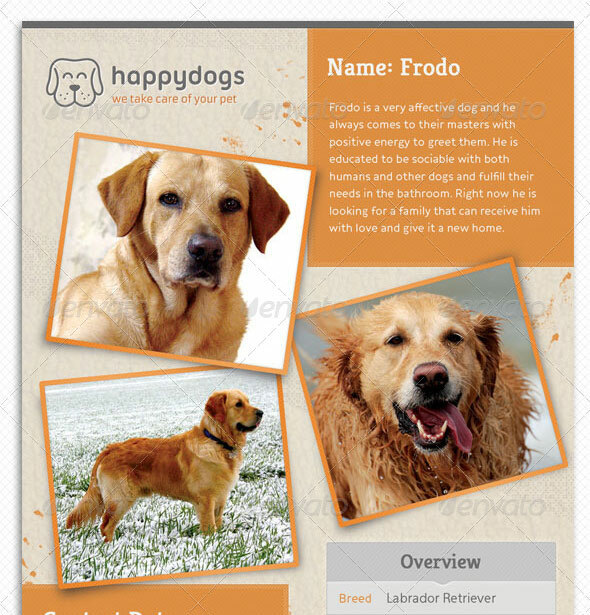 Available in three design variation, these templates are fully editable. 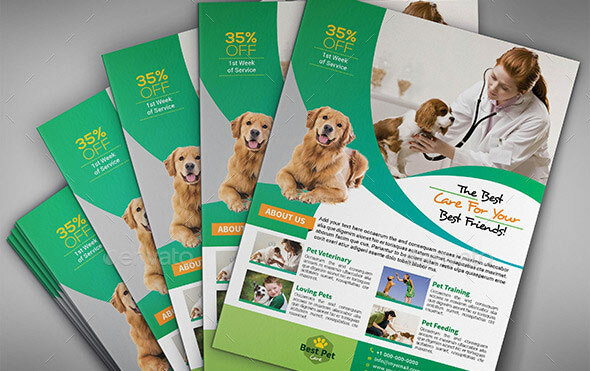 Use these marketing materials to help your pet store soar above the competition. 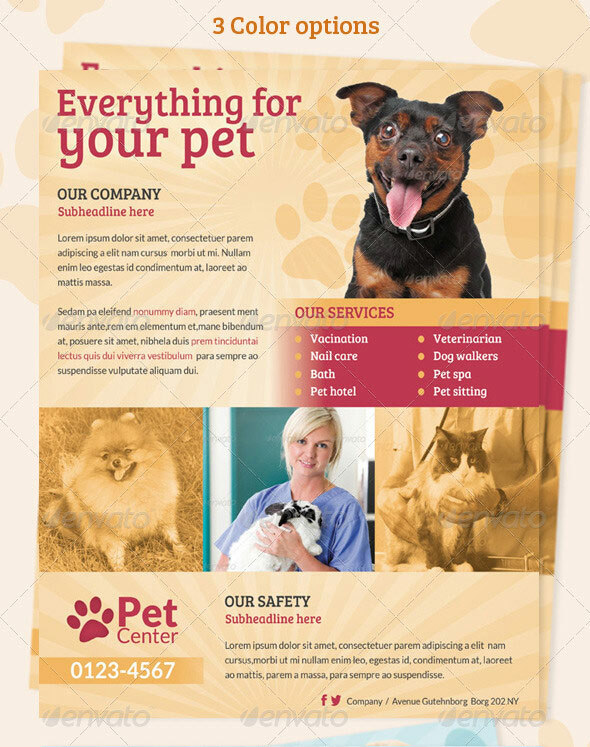 This Flyer can be used in any business like pet,animal,veterinarian,pet shop etc. 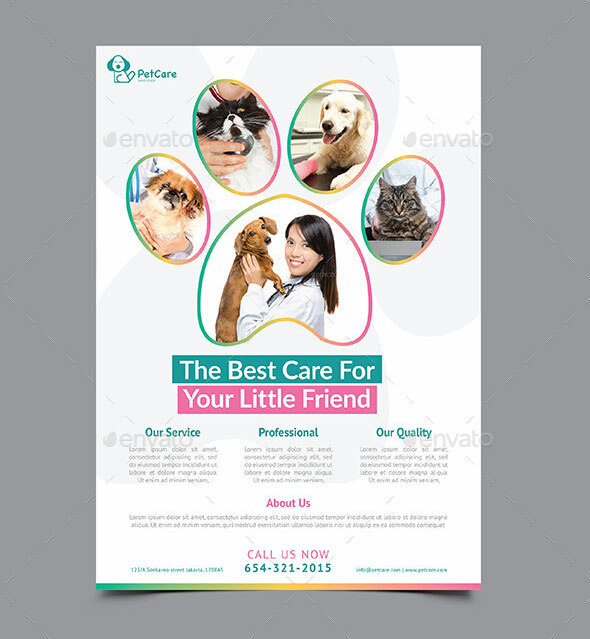 This great template combines simplicity with a beautiful design and is perfect to bring your marketing to a new level and give your potential customers a great impression. Every element is designed with attention to detail and focus on simplicity and flexibility. 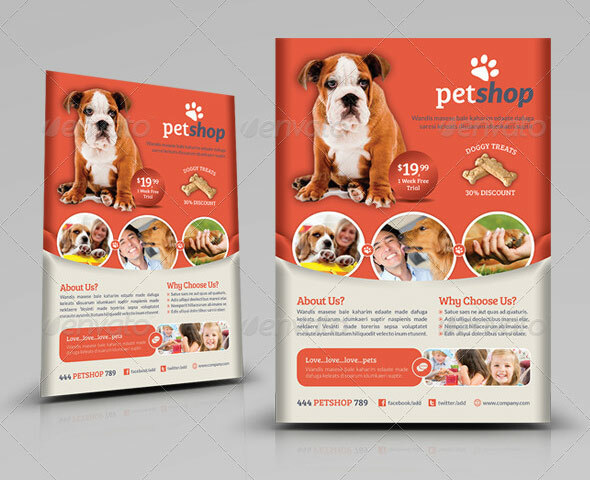 It is perfect for pet lovers, pet care companies, pet shops, stores and even more! 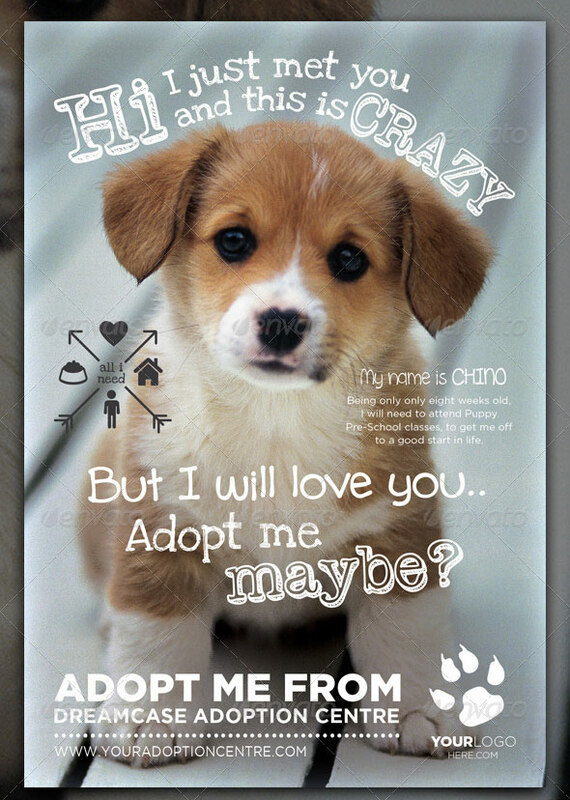 Adopt Me Flyer 2 designed ideally for Adoption Centers, Charity events or for personal use. Image of the dog and cute icons included. 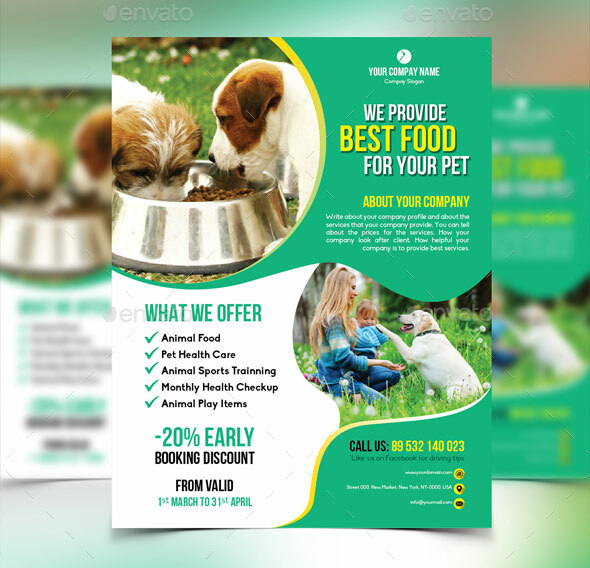 This flyer was designed with an excellent layout, thinking about all animal business and for those people who are related to the animal world, whether for work or hobby. The flyer has been thought for animals caring and protection. Using this flyer can be very effective as part of your sales-support process – providing they are used properly for your specific business. 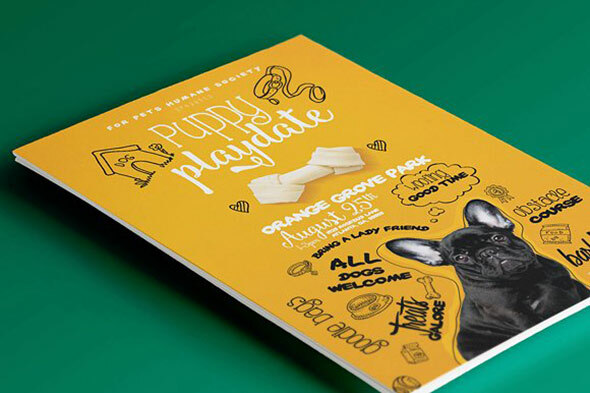 Invite all of your friends over for a puppy playdate with this adorable puppy flyer. This flyer is perfect for pet charities, pet adoptions or just neighborhood get-togethers with our four-legged friends. You can customize this flyer to your liking and with your own text. Photoshop cs5 is used to create this file. 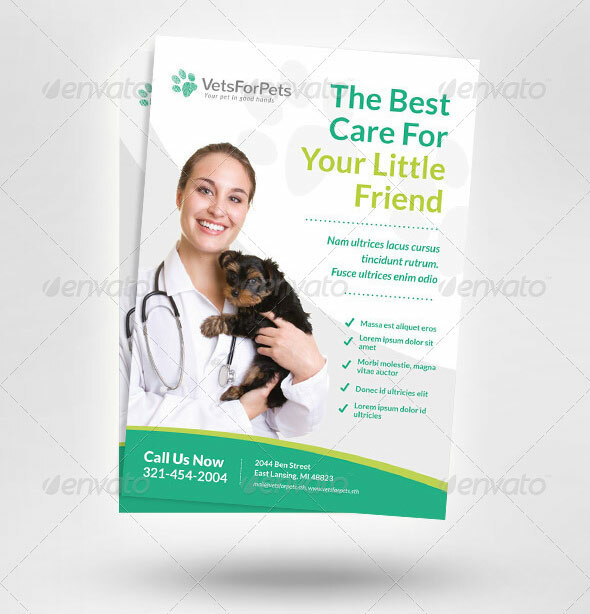 Clean and modern flyer to promote veterinarian clinic, animal hospital, pet care services or similar businesses. It comes in 3 different color variations. 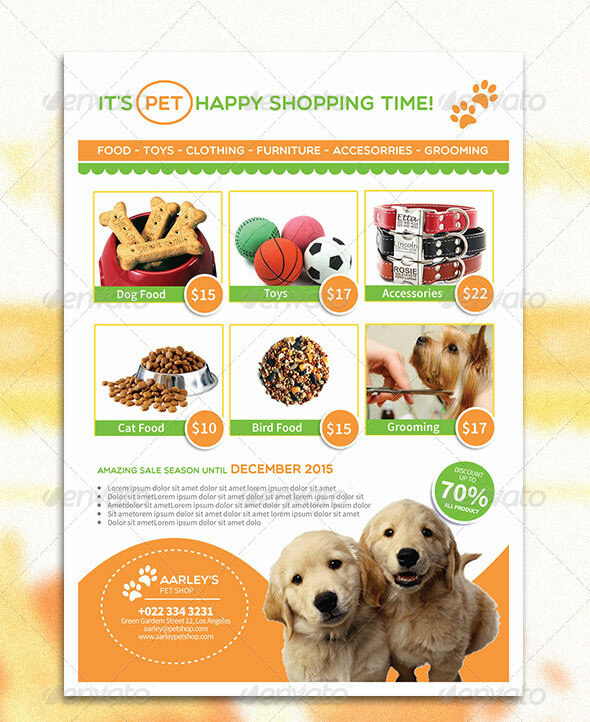 This Pet Shop Flyer, can be used for promote your pet shop, pet clinic, accessories, or other similar business. Very easy to edit text, color, and change images via smart objects. 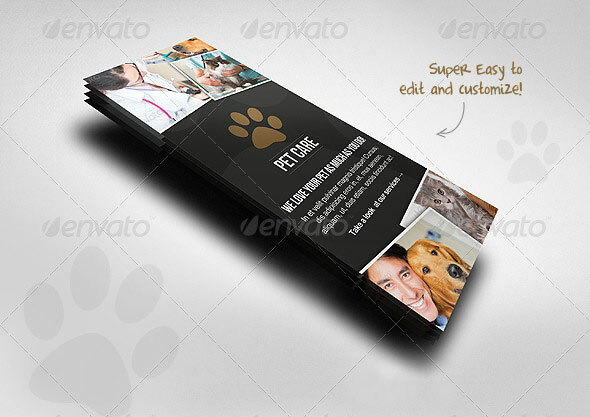 Flyer templates designed exclusively for veterinary, pet shop, pet food, sales or any of use. Fully editable, image/logo can be quickly added or replaced in smart objects. 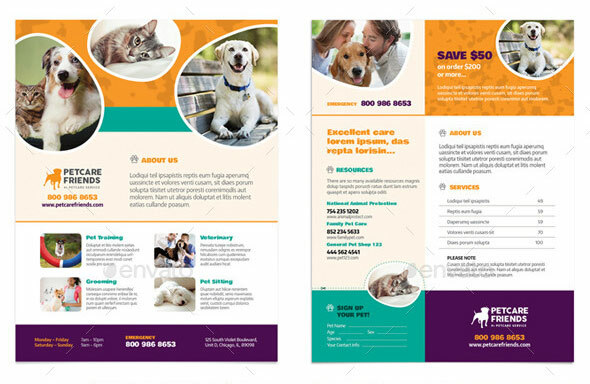 Clean and modern flyers for your pet care, vet hospital business. 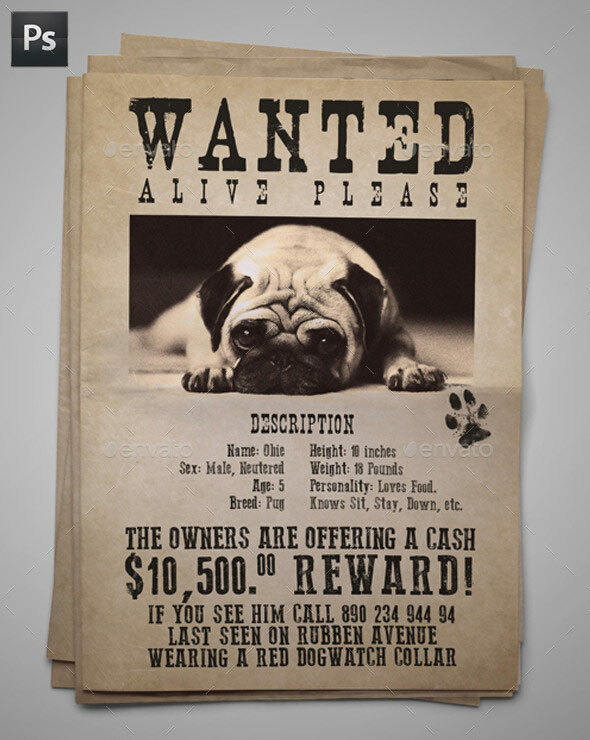 Posters and flyers are still a wonderful way to get the word out, especially if you have hope that your pet is hiding out somewhere in your area, waiting for you to find them. 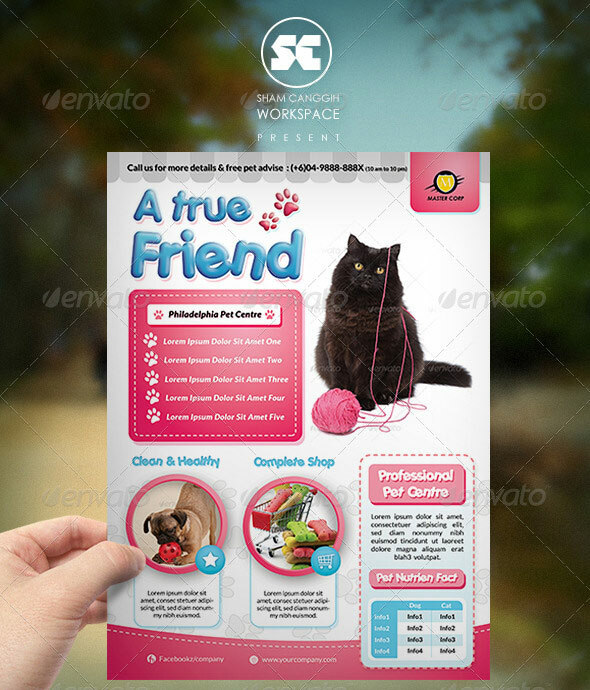 Pet Care Flyer / Ads. 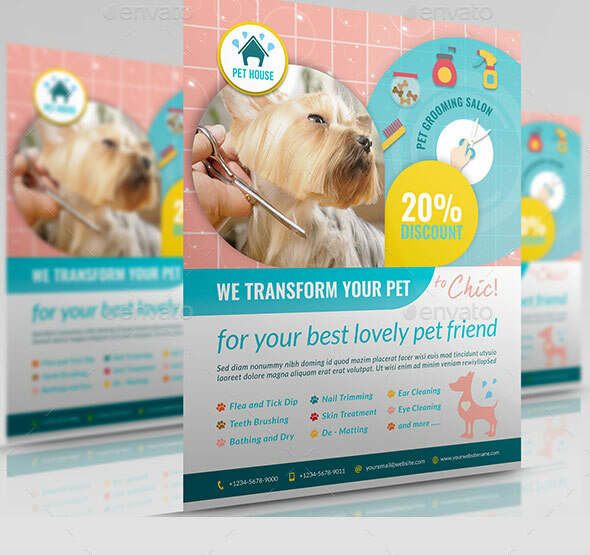 Pet Grooming Salon Flyer Template.